Another night of treasure hunting in the books! 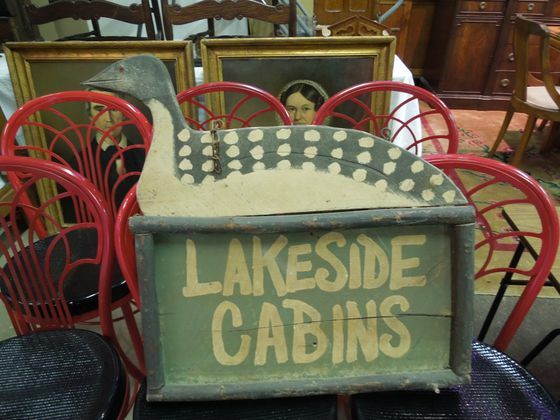 This time Mrs. M of Country Design Home and I headed to Crown Auctions in Medford to check out what was on the auction block and see if anything was worth raising our numbers. We’ve been there before (and Mrs. M wrote a great post about Crown here). 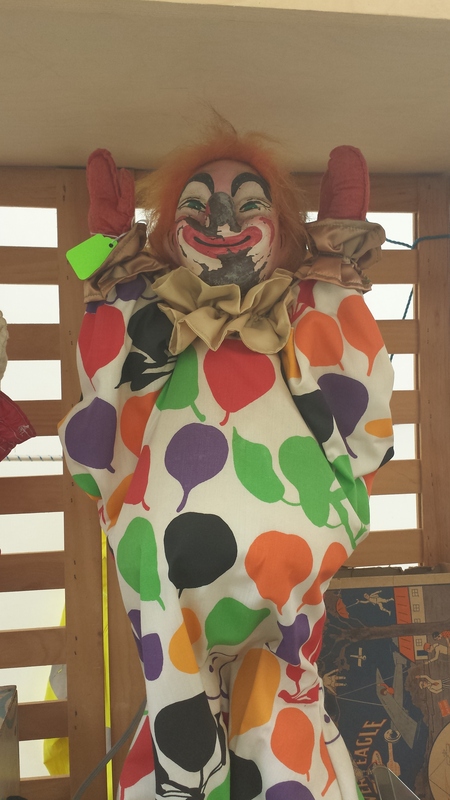 If you’ve never been to an auction, it’s definitely…interesting. The folks at Crown are super nice and I literally laughed out loud (LLOL’d) a few times at their banter and one-liners. Tonight people were getting killer buys on things like furniture ($25 for a dining room table and chairs) as well as breaking the bank for not-so-hidden treasures. 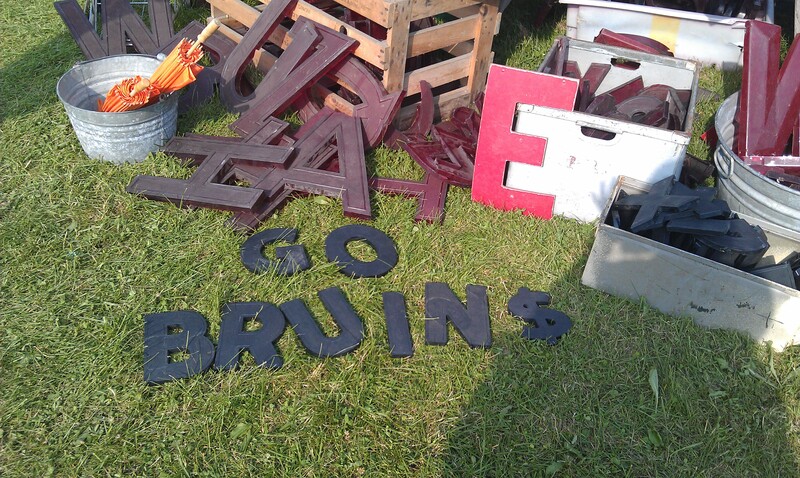 This sign sold for almost $600! Sure did. 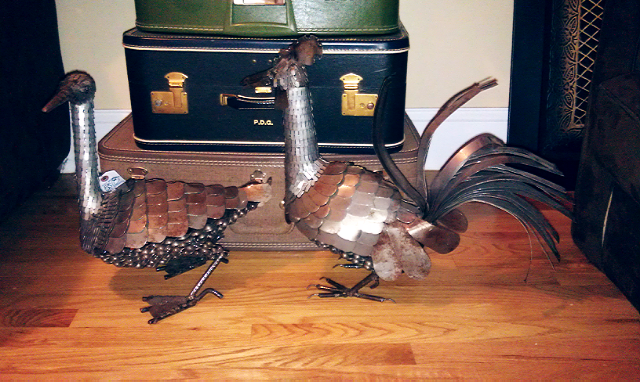 I couldn’t resist these guys and knew that as long as the price was right, they were coming home to Waltham with me. 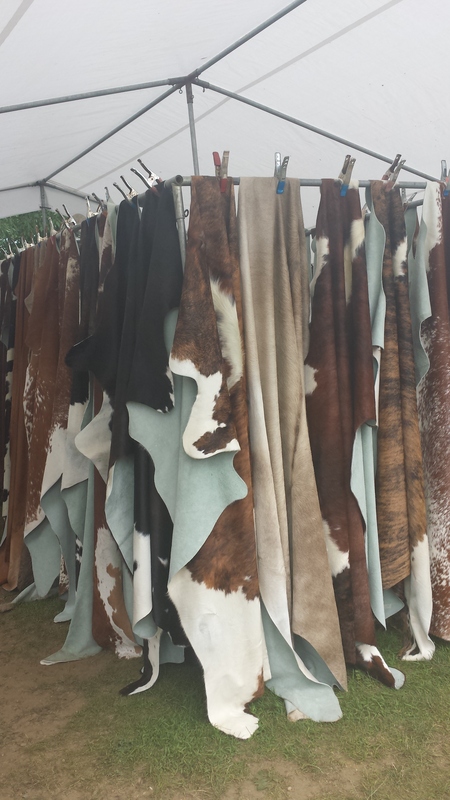 They’ll end up for sale eventually but for right now, they’re just chilling. Roosting? Whatever. 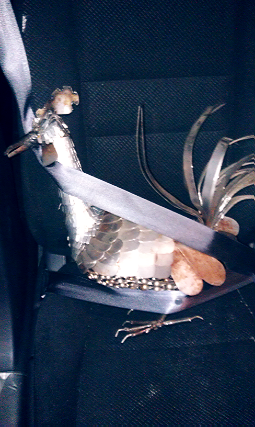 I made sure they were safe and sound on the car ride home. 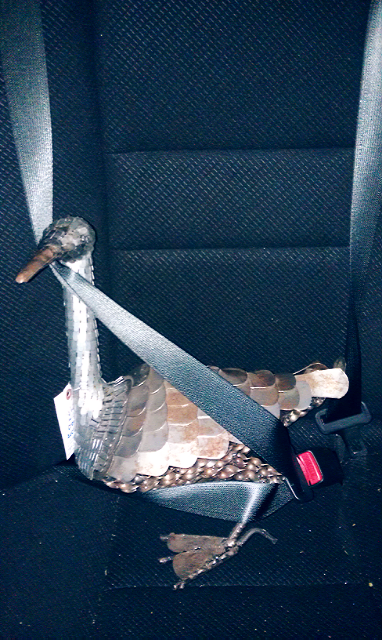 It turns out, I’m actually a pro at driving poultry around in my car, as I scored this guy last year from my Aunt & Uncle. 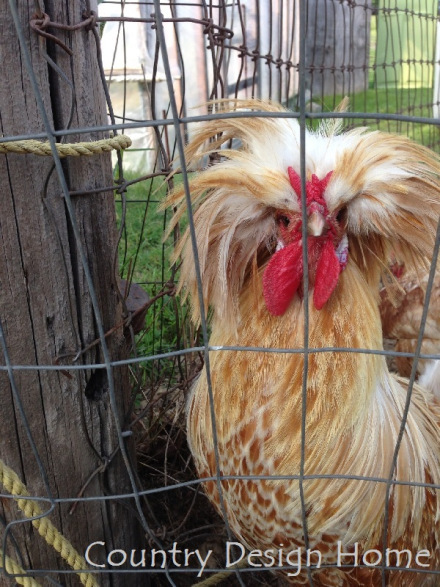 It’s a rooster AND a lamp! As a gesture of solidarity, I even played Counting Crows on the way home. 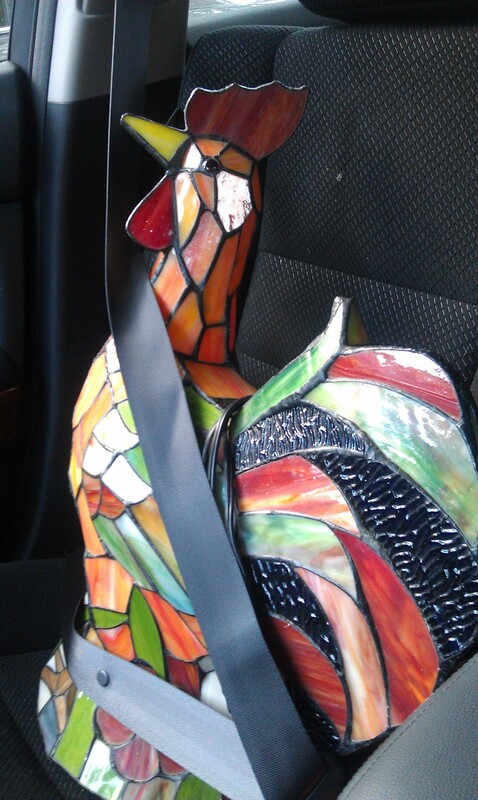 And even though Mrs. M hates birds, she still got a kick out of the handcrafted rooster and water fowl. 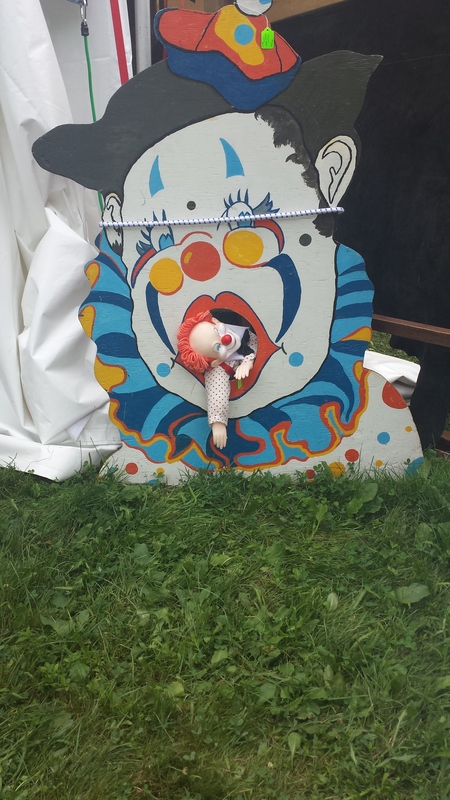 Although maybe she was still just pining over our favorite friend from the Vintage Bazaar last week? I’ll be writing about some of my other finds soon (hint: misogyny!) but until then, the bird’s the word. What a weekend! First of all, I turned 32 on Friday. Pretty crazy! What does that mean for me? What does anything mean, really? What does mean, mean? Who am I? Exactly. 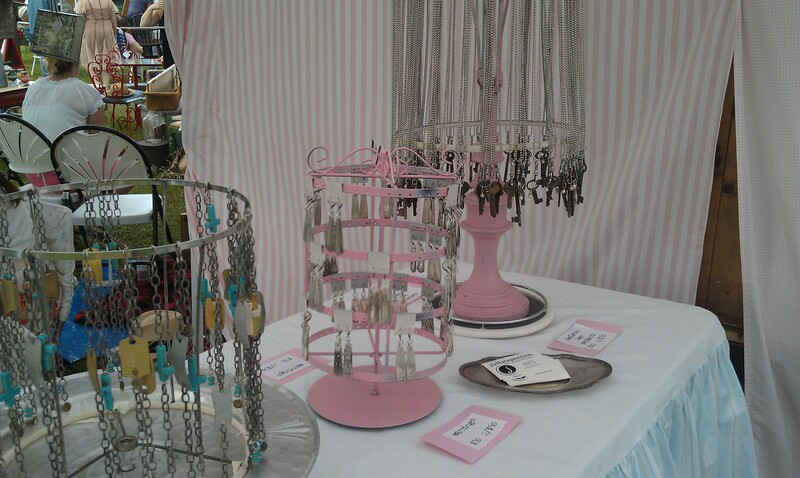 Second, I got to attend the fabulous Vintage Bazaar in Salisbury, Mass! 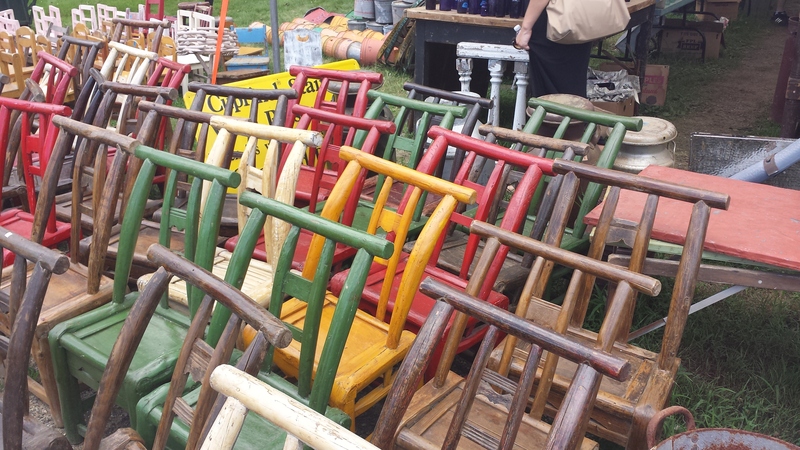 If you’ve never been, it’s an amazing weekend-long bazaar, once in June and once in September, featuring more than 125 artisans in tents bursting with awesome. I was the date of the lovely Mrs. M of Country Design Home. 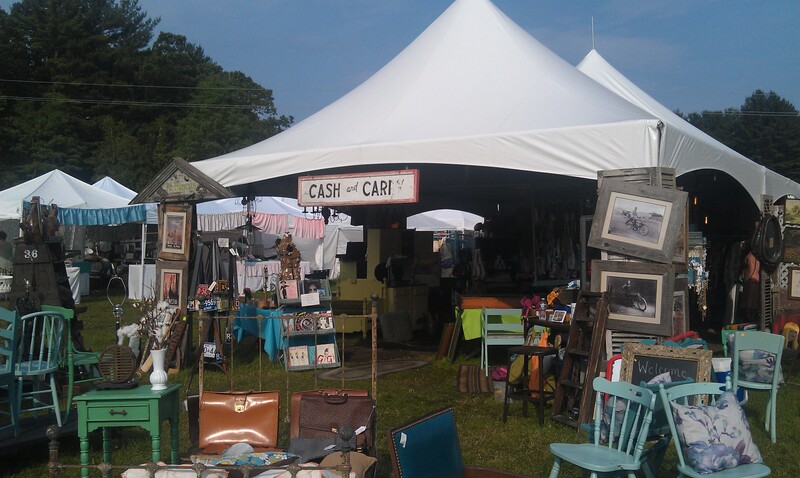 She wrote a great post about the Vintage Bazaar on Friday and I could not wait to get there and check out all the tents and chat with some of the smart and creative folks behind the scenes. 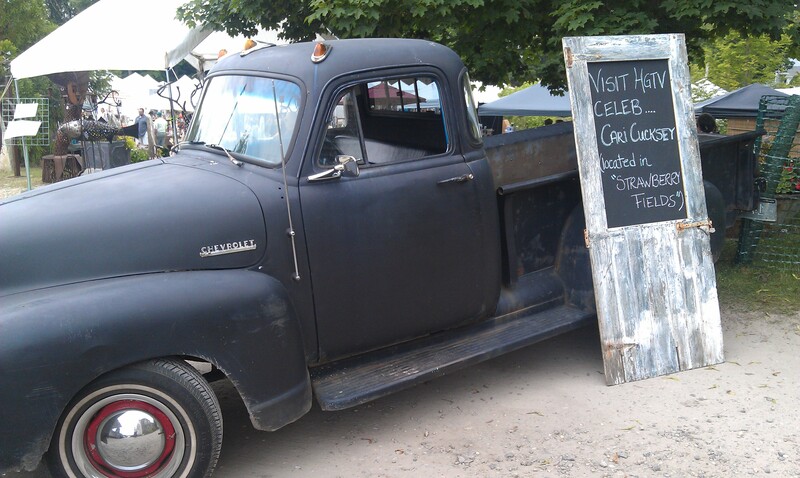 I knew I was in heaven as soon as we got there and the first thing I saw was a vintage truck. I. Love. Vintage. Trucks. If I was Madonna in the Material Girl video, I totally would have gotten in that rich guy’s old truck too, even though he only bought it knowing I wasn’t impressed with all the flashy things he was focused on before, but the effort was there and hey, vintage truck! And continuing down the path of “Things Lisa Loves,” one of the first places we stopped was Fish in the Garden. 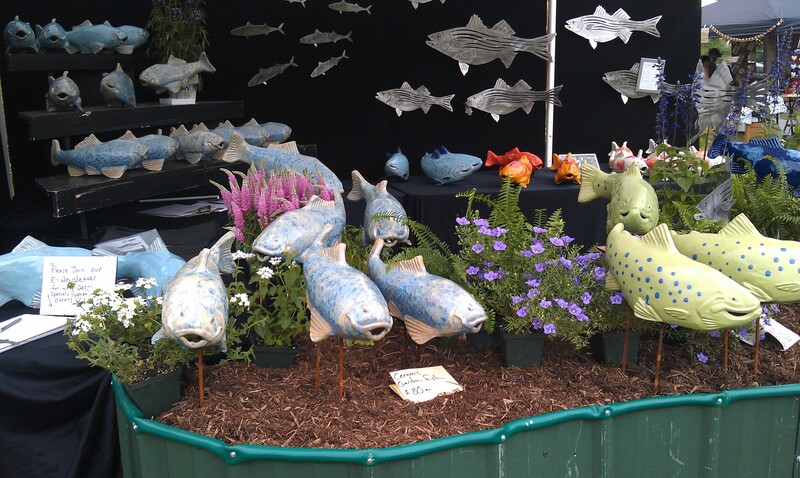 The work of the very talented (and extremely nice) Mr. Tyson Weiss, these ceramic koi, trout, and stainless steel stripers were located throughout the grounds of the farm and made me so happy. I, of course, bought one of the stripers for Mom & Dad’s garden, bringing the total number of stripers I’ve caught this year up to one. 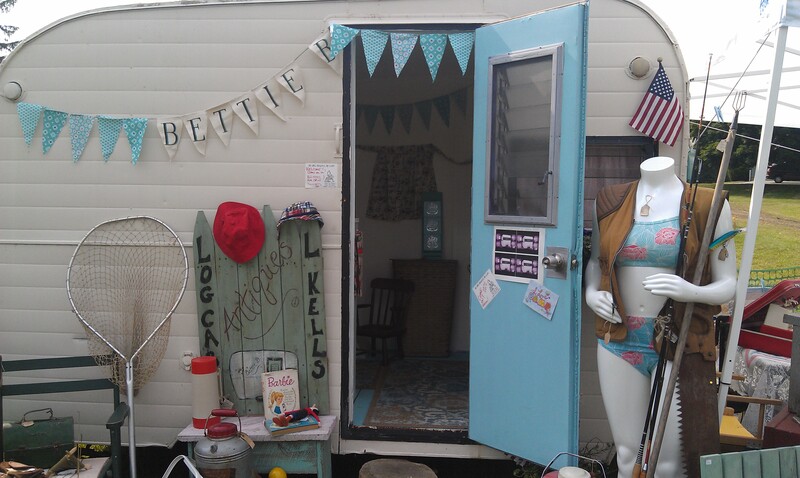 The work of L Kells Antiques and Log Cabin Antiques, I have been following Bettie B’s transformation every step of the way on Facebook and the final result did not disappoint! 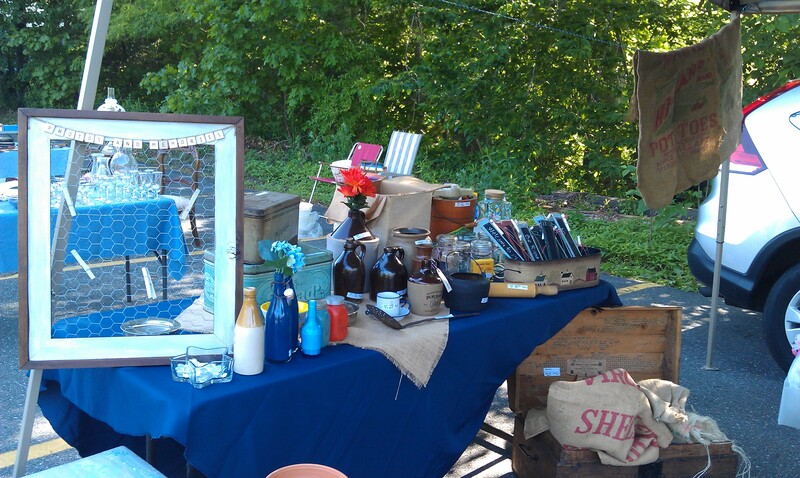 It was so cute, all decked out with vintage awesomeness and colorful kitsch. 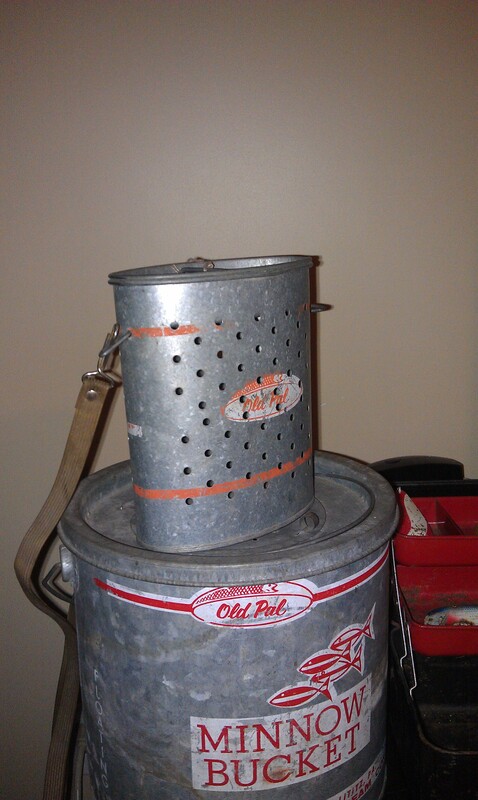 Unfortunately she was already sold, but I did scoop up this awesome mini minnow bucket. It looks great on the larger one I purchased last summer, situated right next to my vintage tackle box and lures. I also had the opportunity to chat with the lovely ladies of Bel Monili and juNxtaposition. These are two artisans who know the purpose of re-purpose and do it quite well. Bel Monili creates gorgeous jewelry made from…well…other jewelry. 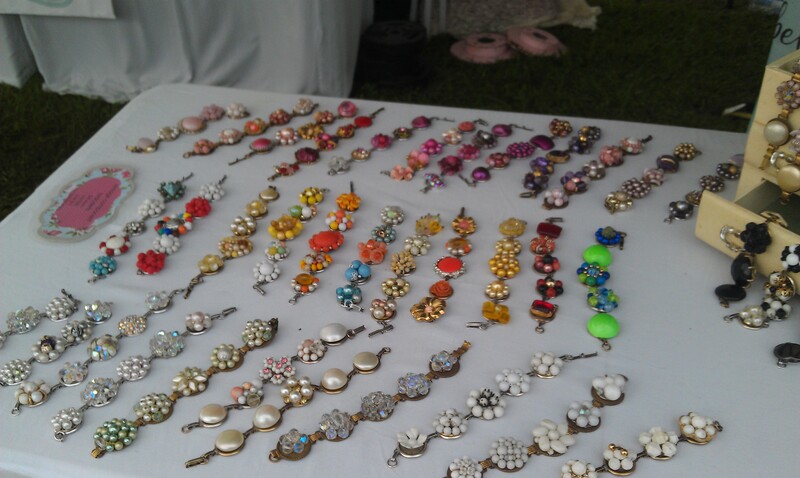 Here are bracelets made from vintage earrings, I scooped up one of these bracelets for myself, I couldn’t resist. 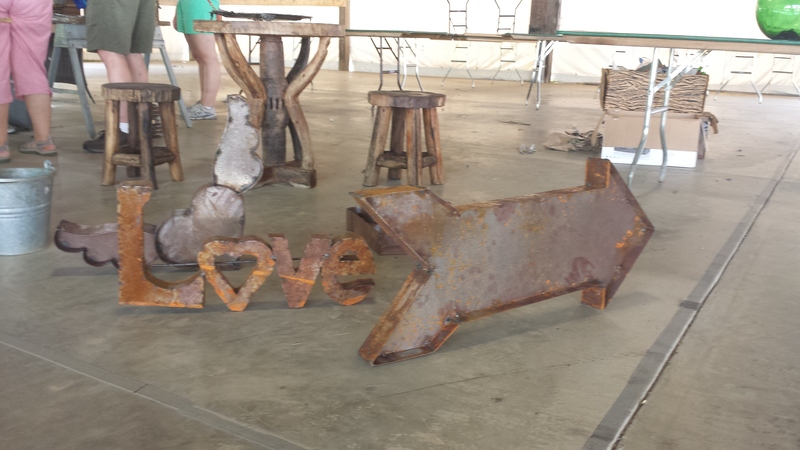 juNxtaposition also makes upcycled pieces “all made with items that others would throw away,” including typewriter keys, skeleton keys, silverware and more. 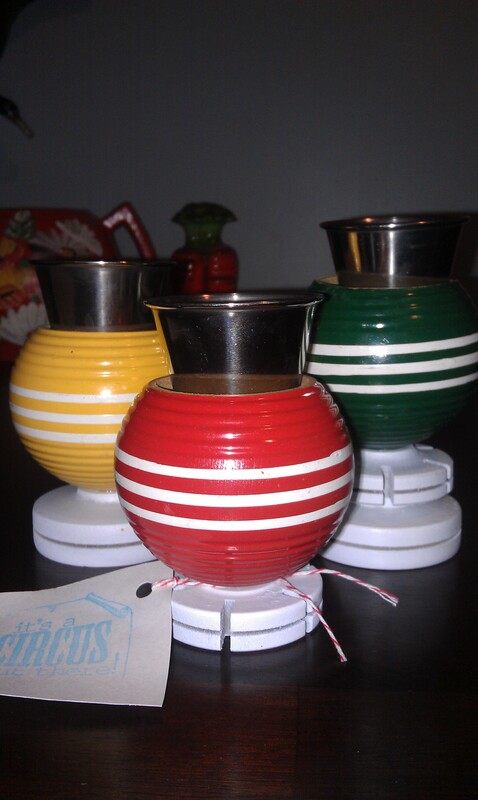 I also snagged these awesome votive candle holders from The Flea Circus. These lovely ladies from Leicester made these great candle holders using old croquet balls. I just thought they were so colorful and clever, I had to have them. Last but certainly not least, I also got to meet one of my most favorite treasure hunters, Cari Cucksey of Cash & Cari! She had tons of cool stuff and was super nice. I don’t even think she noticed that I was repeating “Act cool, Leese. Act. Cool.” in my head over and over in order not to gush. One thing she did notice, however, was my bracelet and asked if it was a Whiting and Davis (which it was). I basically died instantly on the spot. 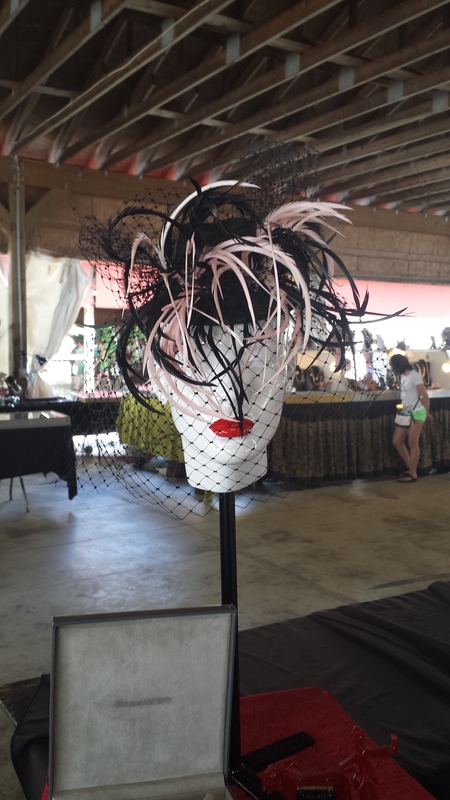 Overall, The Vintage Bazaar is nothing short of amazing. I cannot WAIT to go in September to hopefully see some familiar faces and be inspired by the overwhelming creativity of all the folks there. And buy more stuff. Because I need it. Recently one of my favorite vintage stores, Cur.io Vintage (right in Waltham!) posted this great article on the inimitable Tziporah Salamon. I’m not really sure that describing her as “stylish” even does her justice. She needs her own word. She’s just so…Tziporah. It’s like “That’s So Raven” only she was never on The Cosby Show. The article explores how she puts together her famous looks, even waiting years (seven, in one case) to wear certain finds until she has what she considers the perfect, complete outfit. I can’t even handle how elegant this woman is, seriously. She’s just so…Tziporah. Compared to her elegance, I feel like the kid from the “I like turtles” video. The second, hats! She loves hats. She wears a hat everyday. She considers them an exclamation point on an outfit, and she’s right. 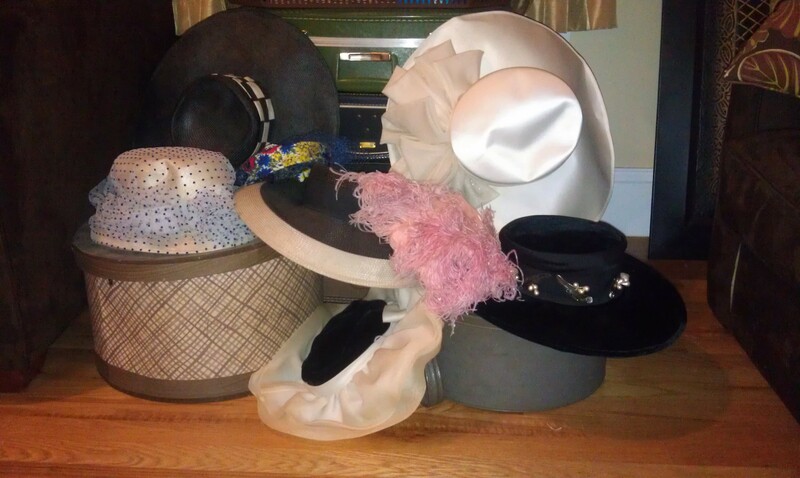 And in a strange alignment of the Universe, my darling friend Leslie brought me a bunch of hats this week that belonged to her grandmother. One of my favorite hats (and also #1 on the list of things I would grab if my apartment was on fire) is this awesome hat from my grandfather. That’s the handsome gent in the banner of this blog. 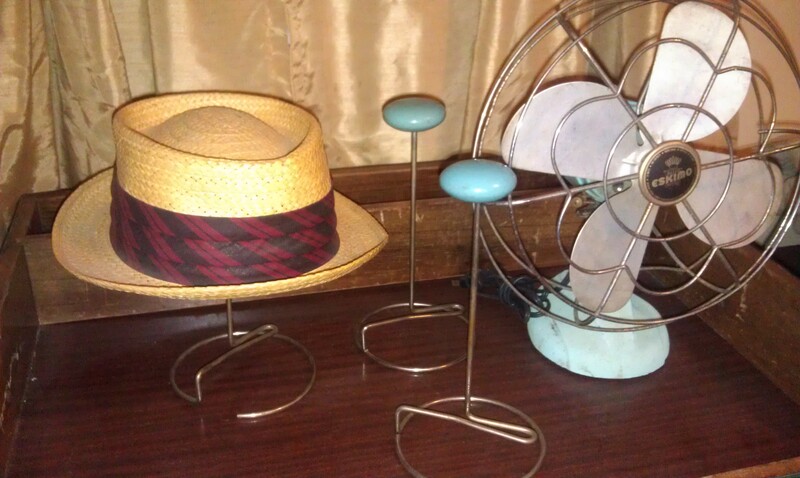 Hat stands, I’m a big fan. 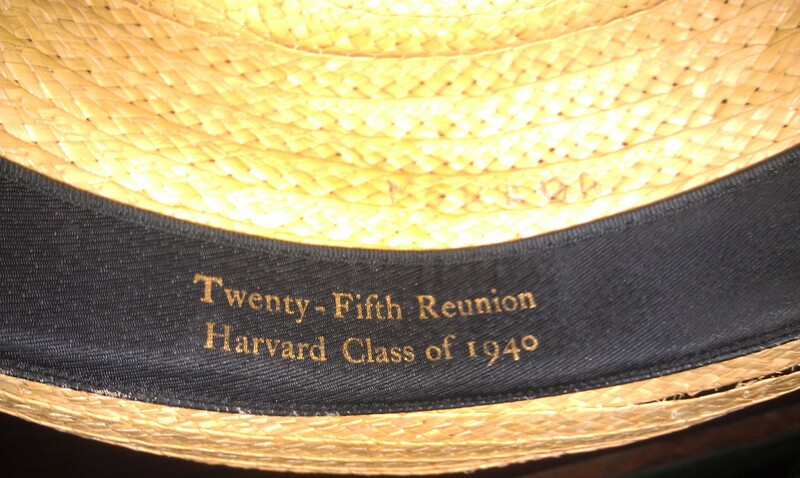 My Gramps was wicked smaht, kid. The hats I wear are usually more of the baseball variety but next time I see a hat I love I’ll ask myself “What What Tziporah Salamon Do?” and maybe be inspired to try it on. And buy it. And find every perfect accompanying piece to go along with it, even if it takes years. And wear them all beautifully…yeah probably not. First market in the books! The weather was hot, the crowd was lukewarm and my medium iced coffee was cold for the 38 seconds of its existence before I drank the entire thing. I would consider it a success, not because I sold a lot (I did not) but because I was finally out there on the other side of the dealer’s booth. The first time of many, I hope. It was an early morning start, I hit the road at 5:30 a.m. to pick up my parents’ SUV (which they so generously let me borrow for the day, and also make up 50% of this blog’s readership. Hi Mom and Dad!) and met up with Mrs. M from Country Design Home. 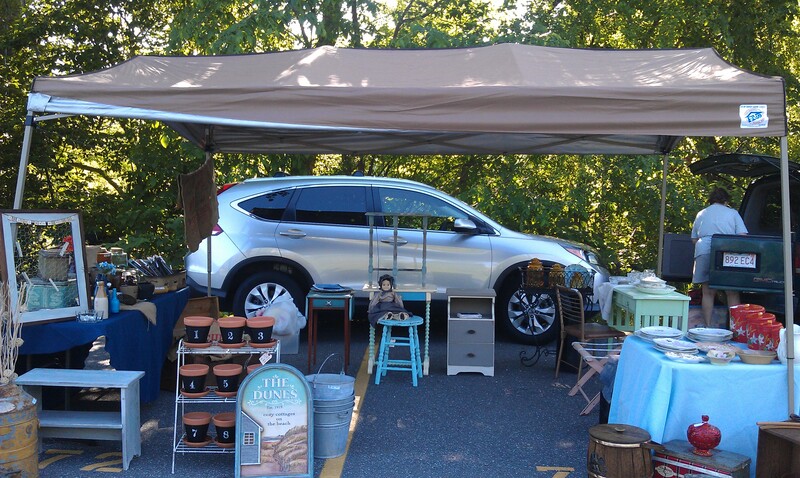 We headed up to Amesbury and set up our booth. Luckily, our EZ-UP tent stayed true to its name and we had no* (*very few) problems figuring out how to put it up. The before shot. The after shot has a whole 5 items less! 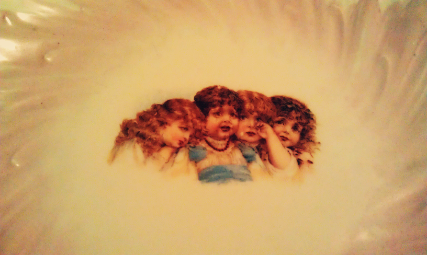 One of the most surprising sales of the day was what I lovingly refer to as “The Creepy Crying Girls Plate” because it is a plate that features four creepy crying girls. Sometimes I’m not very creative with names. My favorite moment of the day, however, involved the f***ing egg plate. If you know me in real-life, you’re likely aware of the fact that I have the handwriting of an 8-year old boy. I even received a “C” in handwriting in third grade. Third grade! It was my first (but not last) foray into the terrifying fear that comes along with potentially disappointing my parents. I cried for days over my terrible, terrible handwriting. (But my answers were always right, weren’t they, third grade teacher Mrs. Richards?! Weren’t they?!) Anyway. 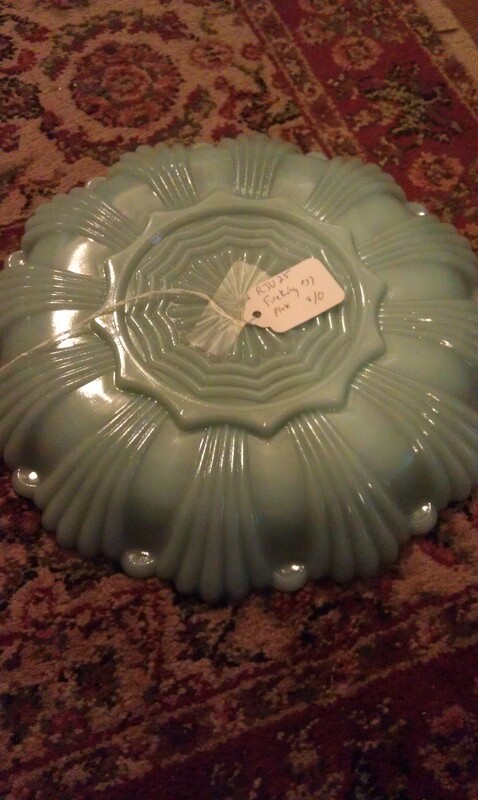 So Mrs. M misread my tag for a lovely blue Fire-King egg plate as saying “A f***ing egg plate” and I could not stop laughing. And really, she knows me so it was an easy mistake to make considering that does sound like something I would do. 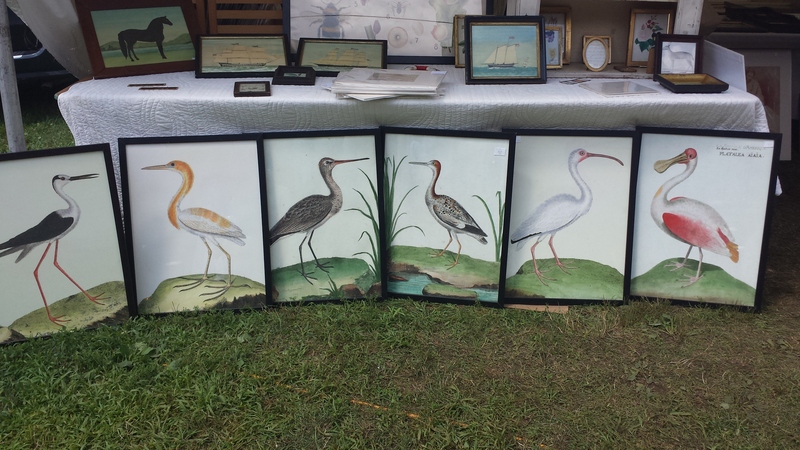 Overall, it was a very slow day, good foot traffic but folks didn’t seem to be looking for antiques as much as they were looking for books on tape and $3 picture frames. So at about 1 pm we packed up our respective CRVs and hit the road. 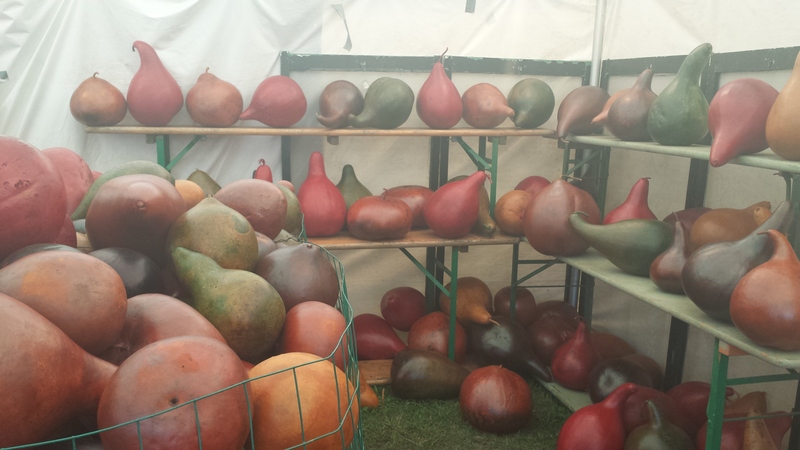 I’m looking forward to the next market though, even if I have to get up at 3 am to drive to Todd Farm to do it. A cup of coffee, a plate of f***ing eggs and I’ll be off! Along with the always fabulous Mrs. Mathison, one of my mentors and founder of Country Design Home, I’ll be at this week’s Macy Street Bazaar. 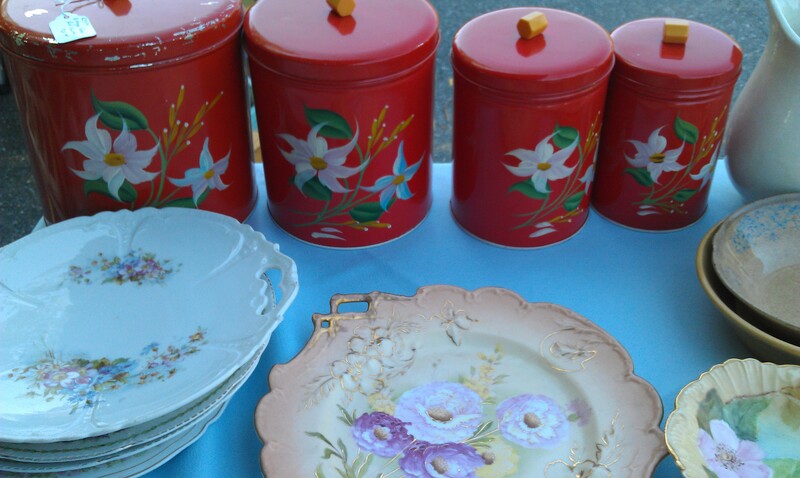 Held in the parking lot of one of my favorite antique stores, Mill 77 Trading Company up in Amesbury, Mass., we’ll be selling some of Mrs. Mathison’s beautiful vintage and refurbished furniture, china, teacups, some killer luggage racks and lots more. Would love to see you there and catch up in between my reapplications of sunscreen. 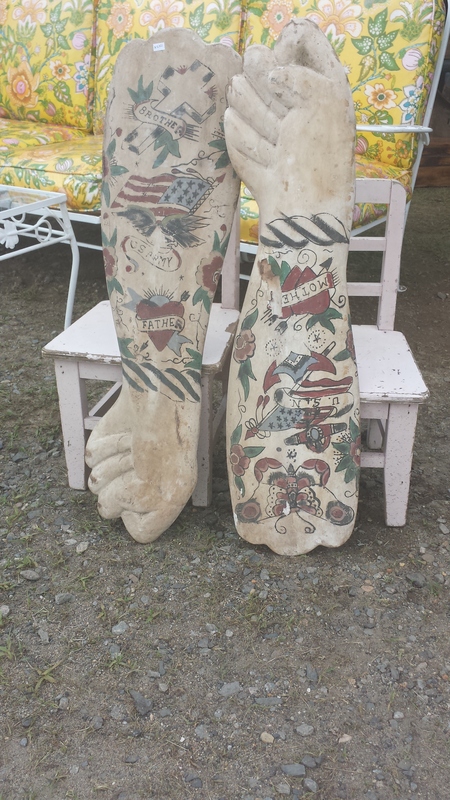 Come spend the hot day checking out some cool vintage finds, you never know what might catch your eye! (And if you put money near your eye, it will likely be conjunctivitis that you’ll catch, I cannot stress this enough). When you’re a single gal, everyone will tell you, “You’ll find someone when you’re not looking.” Seriously. That’s a thing. People will say it right to your face. Just a quick heads up, that’s crap. 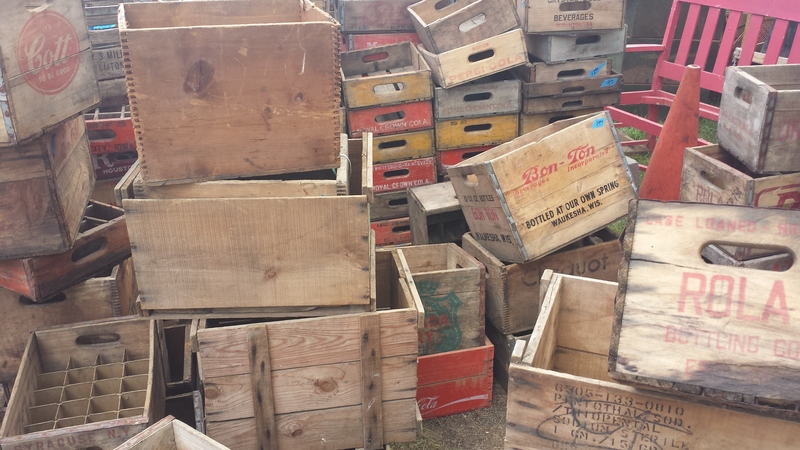 However, when it comes to antiques and cool vintage things, it’s spot on. You never know what you’re going to find when you’re driving down the street, walking through your neighborhood or even checking out the eaves in your new house. 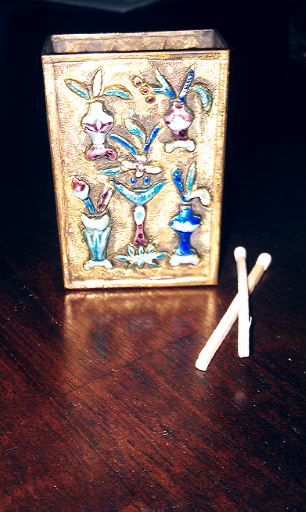 That’s where my Mom and Dad found this awesome brass match box case! It was in the eaves of my childhood home, right up in the attic. It’s brass and enamel with open sides (to allow for access to the striking surface) and frankly, it’s pretty badass. Especially when you think about how disposable everything is today. There was just a different level of care that went into carrying around something as simple as matches. That’s part of why I love vintage and antique items so much. There’s a pride and workmanship that goes into everything and all the items you purchased were meant to last. 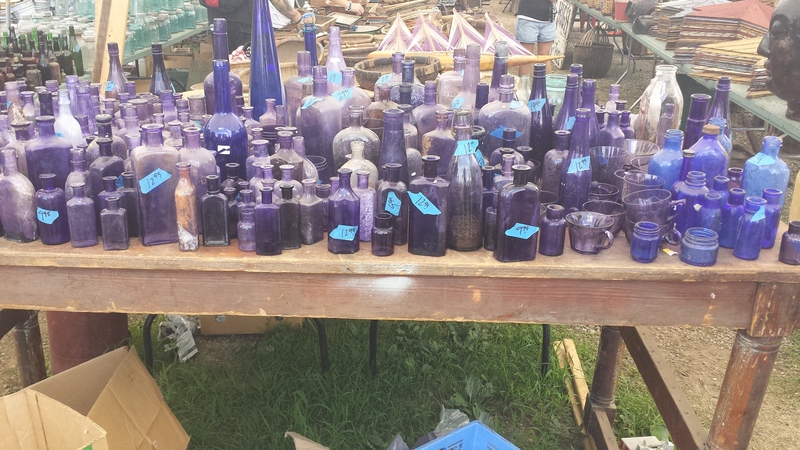 Have you found any treasures when you least expected it? Maybe in your house, left by previous owners (Or ghosts? Totally could be ghosts)?